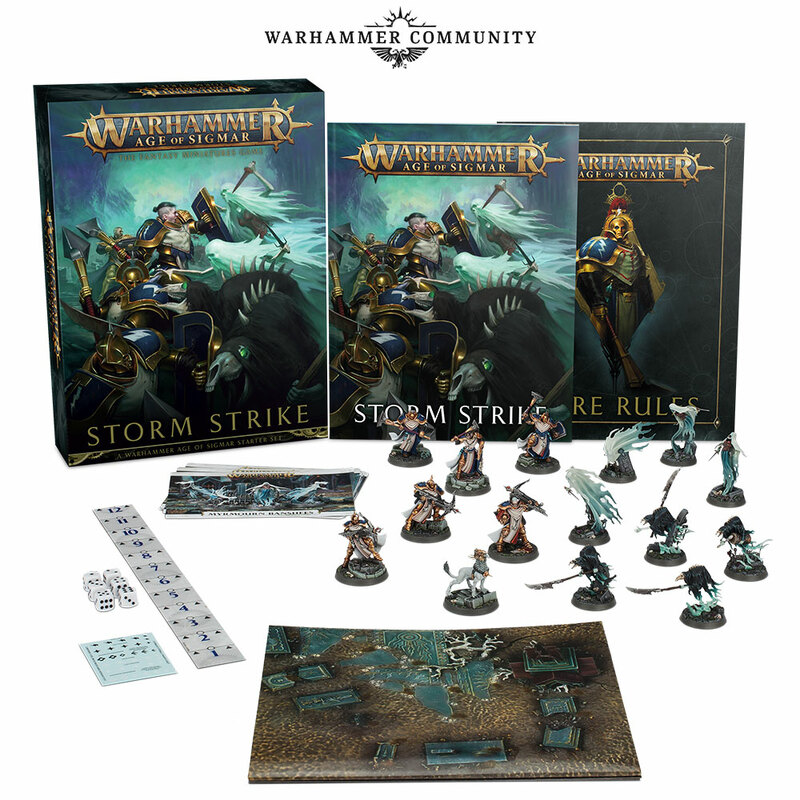 Coming soon is Storm Strike, a mini starter for Soul Wars. If it’s priced like the previous one it will be around £25 and contains…. That’s four units of easy to build that go for about £10 each making it a bargain just for the plastic. Includes a mini campaign to teach the rules, but of the four scenarios in previous box, first three were crap. But I was going to buy both Haunt units anyway, so I’ll just wait for Storm Strike now. There is a larger box that will probably go for £50, but think that’s just cut down version of Soul Wars.